Randal Thom waves a Trump flag. 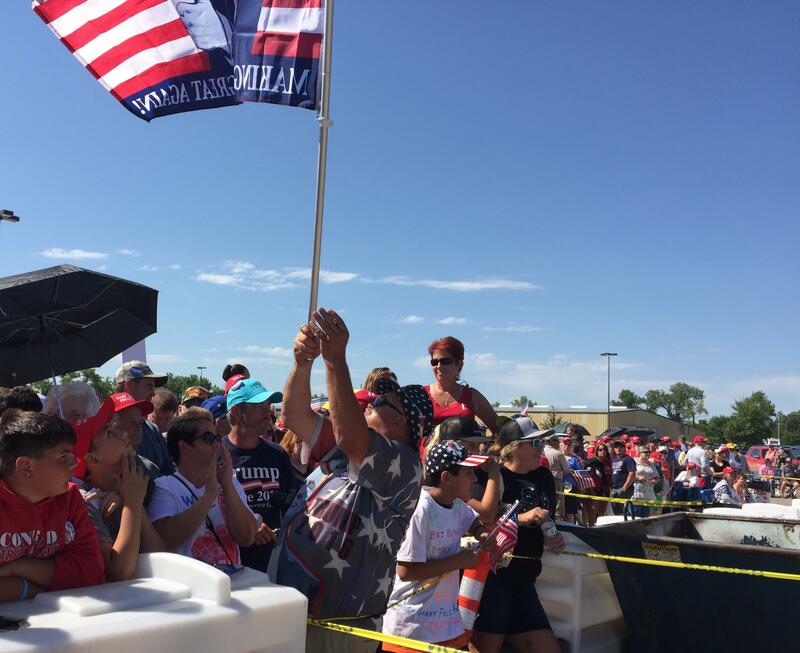 Supporters of President Donald Trump began to line up outside the gates at Great Falls’ Montana Expo Park before dawn, even though the campaign rally wasn’t scheduled to start until 4 p.m. Protesters also were on the grounds, but local officials kept them separated from supporters. One of those supporters was Randal Thom of Lakefield, Minnesota. He was at the front of that line and energizing the crowd, leading chants of USA. “This is my 35th rally,” he said. He said that’s because Trump spoke in his language. He said other reporters have asked him if he blindly loves everything the president does. Thom says that’s a loaded question and the answer is no. “Sometimes you have a big old steak you might have to eat a little bit of gristle to get to that best part of the steak and do you know what the best part of our steak is? America being first,” he said. Thom wore a red, white and blue shirt and hat that was reminiscent of flag motif. Others wore Trump t-shirts and caps. Vendors on the grounds sold Trump shirts, hats, buttons, bags, and other items. The event was billed as a Republican campaign rally in support of U.S. Senate candidate Matt Rosendale and Congressman Greg Gianforte, who’s seeking a second term. “We don’t need somebody from outside of Montana coming to Montana to tell Montanans how to vote,” said Laura Wight of Great Falls, the designated spokesperson for the group of protesters who stood in a roped off area near the FFA Barn on the Expo Park grounds. While the number of protesters were far below the number of supporters, Wight says they were there because they too care about the country. 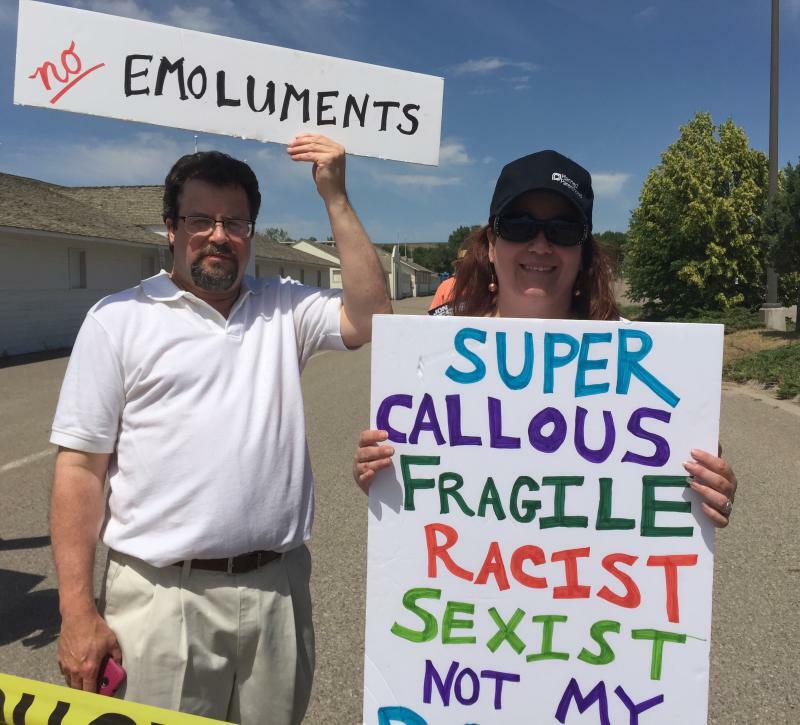 The Great Falls Tribune estimated the crowd of protesters reached about 300 by the time the President arrived at the venue. Thousands of ticket holders were still standing in line when the presidential motorcade pulled in. Those people were turned away because the event was oversold. 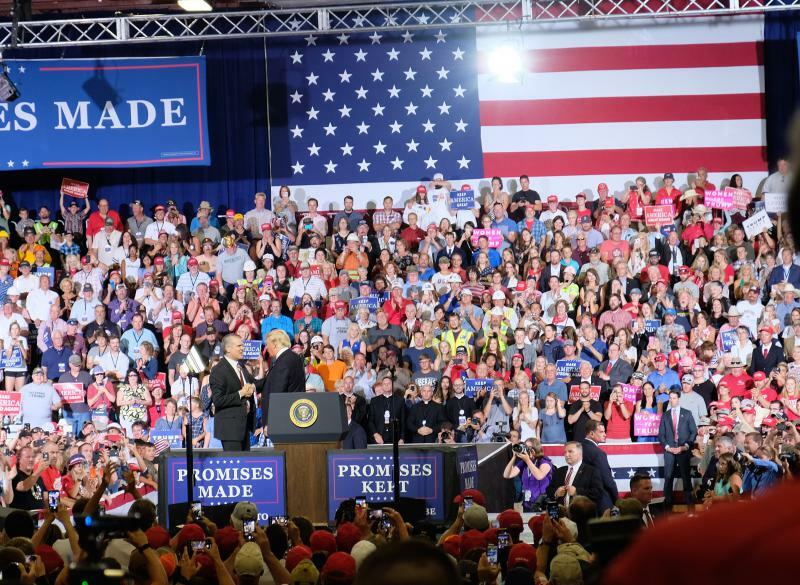 Over 6,000 people crowded into the Expo Park in Great Falls for President Donald Trump’s campaign rally in support of the Republican U.S. Senate candidate Matt Rosendale. The current state auditor and former state legislator won the GOP’s contested June and will be one of the candidates facing Democratic U.S. Senator Jon Tester on the November General Election ballot.